President Rodrigo Duterte signed Proclamation No. 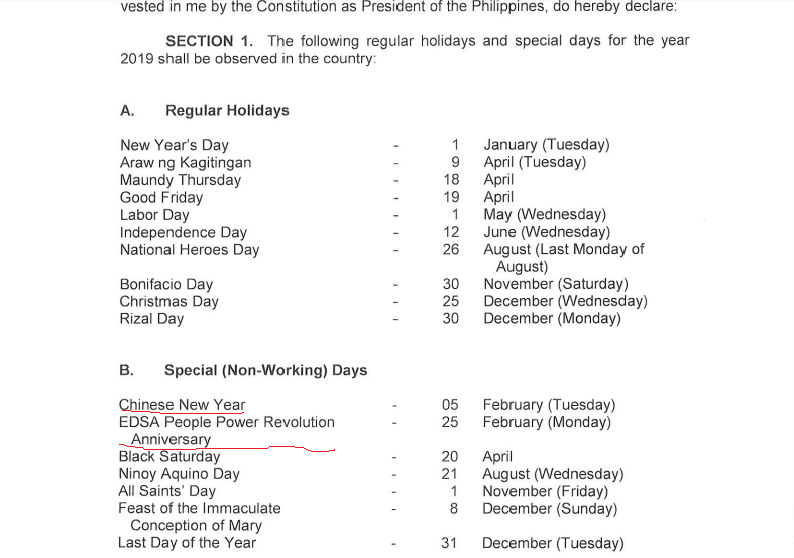 555 declaring the regular holidays and special non-working days for 2019 on Wednesday, August 15, 2018. 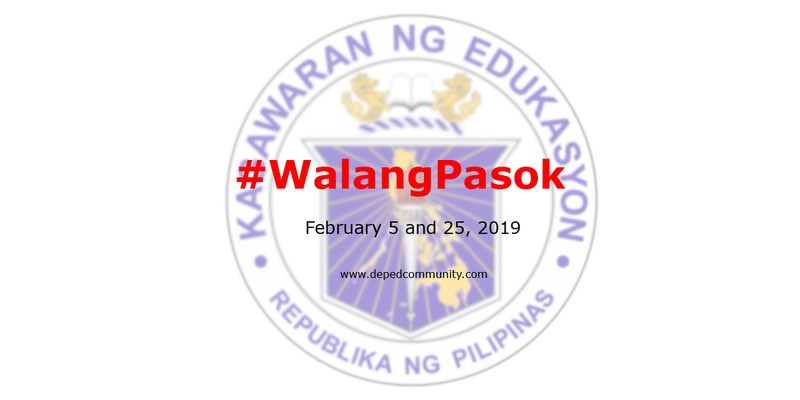 This includes the 2 special non-working days this February. The People Power Revolution was a series of popular demonstrations in the Philippines, mostly in the capital city of Manila from February 22–25, 1986. There was a sustained campaign of civil resistance against regime violence and alleged electoral fraud.